Just a link to my thread about remapping I've had done by Andy & Yoof at PPP. As you'll prob know they are both personal friends of mine but that doesn't mean I'm just pimping out their services for the sake of it, they've done a very good job on the mapping on my car and I'm really happy with how it is, the proof will be on the rollers in a couple of weeks but I know already that on the road it's bloody rapid. do they have a website ? il second this - Andy popped over to mine and got my G running much better, top bloke and really helpful. recommended! Polo Performance Parts did me a custom remap in January, and frankly I couldn’t be happier with the result. Andy talked me through the process – first he’d map the idle then move on to part throttle and full throttle mapping. Fast apparent was an issue with the idle. Pete and Andy expertly diagnosed this as incorrect injectors – they were too efficient for the high compression engine and lead to overfueling. They were quickly changed for some standard G60’s and the mapping continued. The idle was sorted and then part throttle taken care of. During the mapping process the narrowband lambda is disconnected to prevent the ECU from fighting the ongoing map adjustments. 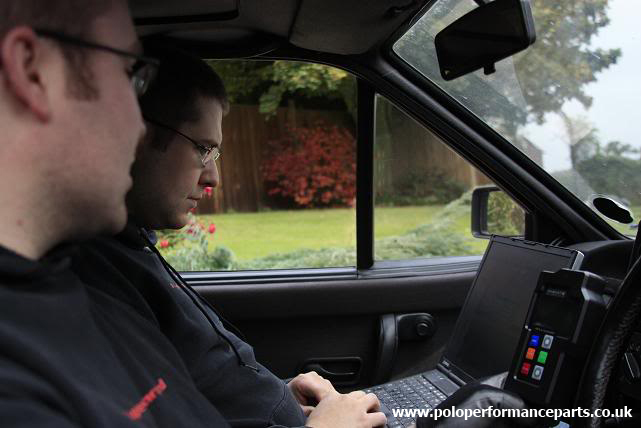 Particularly impressive, was Andy’s ability to tune the map precisely the correct amount – on part throttle around town driving the wideband showed near stoichiometric and the car is very smooth. The next bit was fun. On Andy’s advice we decided to first map full throttle at 10psi, later moving on to 15psi. This would reduce the stress on the engine during mapping whilst still allowing the map to be tailored to the full capability of the standard map sensor. As luck would have it we stumbled across a section of 3-lane, dual carriageway ‘private road’ perfect for the task. As more ignition advance was dialled in I was soon simultaneously crapping my pants and giggling like a schoolgirl. After a few runs the map was sorted. Before leaving we did a few final checks to be sure all was well and I was left with the luxury of a drive home with a freshly mapped, infinitely improved car! I think it’s fair to say that the general consensus on the day was that the flywheel figures on a variety of cars were a little optimistic. Even if you said 160-165bhp I’m chuffed to bits. Not bad for an engine that made 55bhp from the factory! Remember this engine configuration is quite dissimilar to the standard G40 – and as such the map needed to be somewhat different. This isn’t really just tweaking the original map anymore, but rather building up a fresh new one from scratch. I think this speaks volumes for PPP’s ability and skill. Top job! Just want to add to this post. Drives really smooth through all the gears and pulls very well, A/F mix is spot on and my MPG has increased too, with the help of the bigger bottom end. Cant say thank you enough though as if it wasn't for the mapping my g40 would of been sold. Big thanks again to PPP! What a fantastic read this thread is. Loved the Line - I was soon simultaneously crapping my pants and giggling like a schoolgirl. After a few runs the map was sorted. just had my polo turbo remapped by andy on sunday and it is driving better than ever. smooth power delivery and plenty of power.....couldn't be happier. 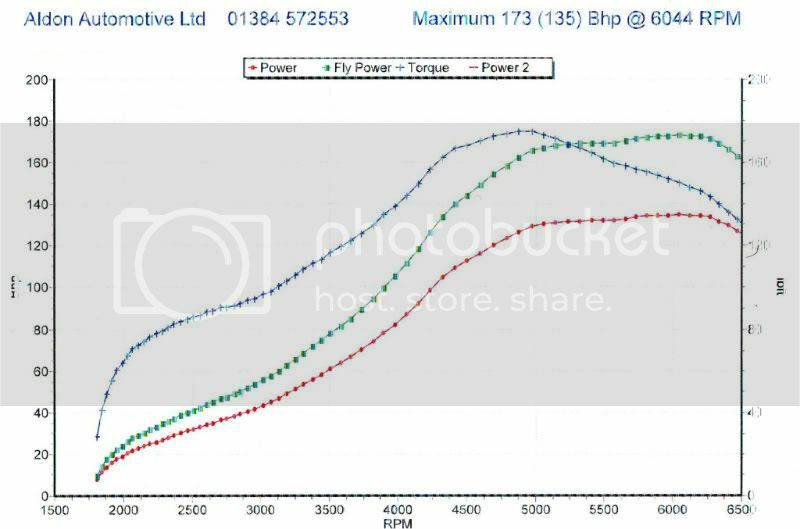 He carried out all of the basic checks first and mapped the car slowly increasing the boost level, took his time no rushing around and i am 100%happy with the result. Had a few runs with my brothers mk2 20vt running 270bhp and it wasn't far off. I had my car mapped a while ago havnt had it on a rolling road yet but im expecting around 190bhpish. mapping was great and was realy helpful and informative explains whats going on step by step, what to look for infuture general had a good laugh and scared the pants of me ! The car is now great to drive and very quick highley recommended i will be doing a full build thread and that will include mroe detail on the mapping if any one is intrested. Is it advised to have a wideband before the mapping session? not essential but it helps compare the accuracy of your one to the one andy uses. I'm running a standard bottom end and head with 1.5bar of boost and wanted to make sure the fuelling and general running of the car was spot on. Andy suggested that the injector voltage correction curve could need a tweak he sent out a modified chip and the car is running spot on now. The car doesnt get much use but when it does its alot of fun to drive with around 180hp on tap. If you want your G40 mapping, personally i wouldn't consider using anyone else other than PPP.